The Canon camera lens simulator lets you choose between an array of lenses including Telephoto Zoom, Standard Zoom, Portrait, Macro, and Ultra-Wide Zoom. 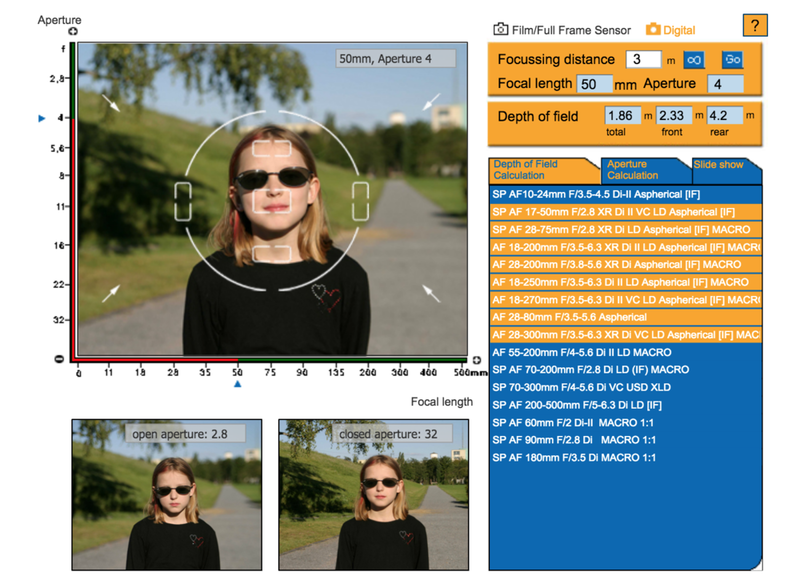 With this lens simulator you can view how the field of view will change as you zoom through the various focal lengths of the lens. The Nikkor lens simulator from Nikon seems to a bit more responsive and easier to use. It also includes the option to choose you camera format to compare lenses across different sensor sizes. The depth of field simulator by Tamron is quite excellent, providing open and closed aperture comparisons as well as an orange highlighted list of lenses capable of your current setting criteria. To use this simulator click and drag the tiny triangles along the X and Y axis choosing the focal length and aperture. To learn more about depth of field see a comprehensive visualization here. Firstly a much more appropriate name for this sim would be the "Micro Four Thirds Camera Builder". The MIRCO Four Thirds matching simulation lets you couple any MIRCO Four Thirds sensor camera with a matching lens and accessory. I made a totally practical Leica DigiLux-3, with a Olympus Zuiko Digital ED 50-200mm F2.8-3.5 lens, and an Olympus EE-1 Red Dot Sight as pictured above. Though the images are very low quality, you can see how your creation would look from 5 different angles. They even have a leaderboard with the top ranked combinations. 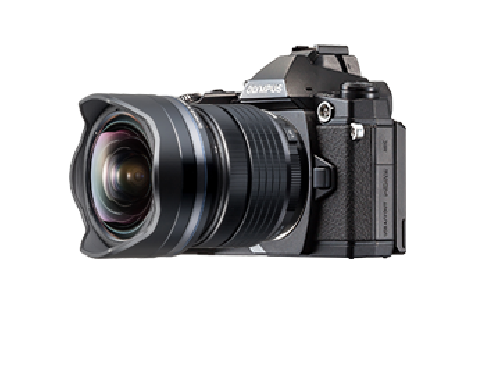 Currently the winner is the OM-D E-M1 with the Olympus M.Zuiko Digital ED 7-14mm F2.8 PRO seen here. An educational tool, the camera simulator by CameraSim has an easy to understand user interface with Aperture Priority, Shutter Priority, and Manual shooting modes. The image moves, simulating the slight camera shake one might have whole trying to hand hold a camera. It's quite well thought out when you break down the elements of the composition. The camera is shaking, your subject is swaying back and forth, close enough to the camera to have a nice shallow depth of field, and the toy windmill is spinning. This is a great composition of elements because in every setting you choose you will be able to see the effects somewhere in the simulated image, whether be depth of field by the bokeh or a blurry capture of the windmill blades. The bokeh simulator & depth of field calculator by Michael Bemowski is similar to the CameraSim version but with full emphasis on lens setting rather than camera settings. With focal length options from 24mm to 300mm, and 20 preset sensor size choices, this simulator is probably where you will find the answer to most of your questions.